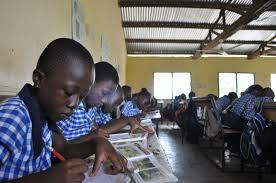 In the bid to rid the nation of criminal activities and institutionalised the fight against illicit drug trafficking in a fledging economy like Nigeria, stakeholder advised government to include drug free education in the country’s secondary school curriculum. 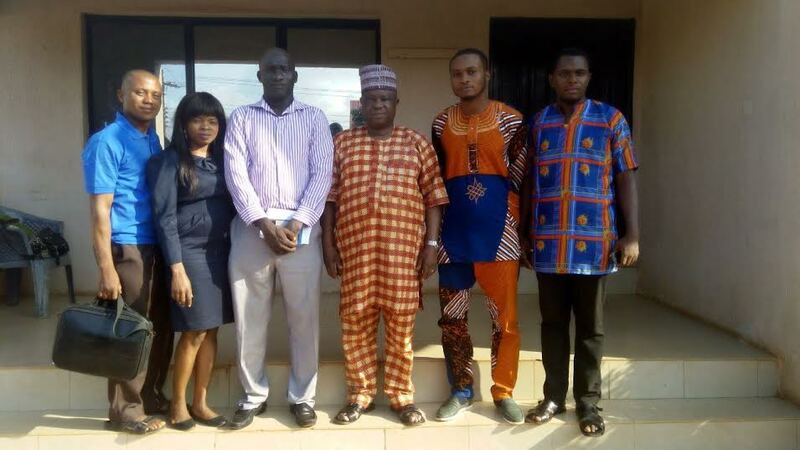 Addressing team of Anambra Online Publishers (AOP) in Awka, the Commander of the National Drug Law enforcement Agency, (NDLEA), Mr. Sule Momodu charged parents and government of all tiers to champion programmes that will promote cultural value and eschew ethnicity or religious bigotry which is the panacea to virile nation building. He lamented that the country had had it better in the 70s-80s where values and regard for Nigeria among Africa nations are respected but charged parents to assist government to ensure the eroding value of Nigeria is restored. Out of the total sum, the workers said N11bn was realised from the sale of nomination forms while N1bn accrued from the sale of delegates forms. 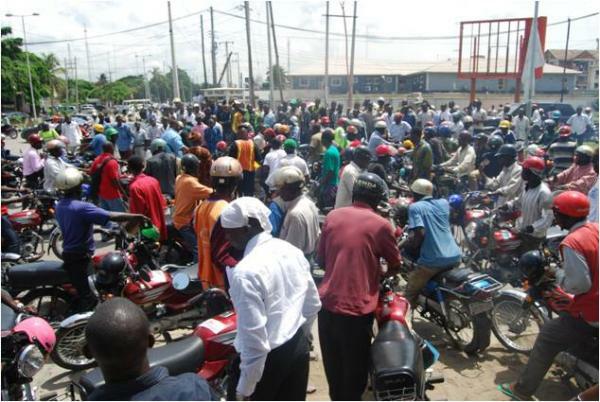 They alleged that the money was squandered shortly after the sale of the forms commenced on October 27, 2014 till date. 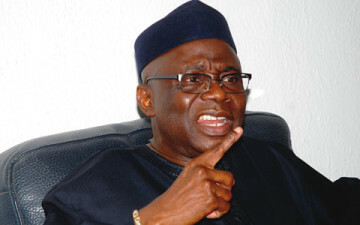 Social Critic and General Overseer of the Latter Rain Assembly, Pastor Tunde Bakare, has said that he is not expecting a ministerial appointment from President Muhammadu Buhari. Bakare, who spoke in an interview with Sahara TV monitored by our correspondent on Thursday, however, parried a question on whether he would accept a ministerial appointment if offered by the President. The official visit of President Muhammadu Buhari to Cameroun to discuss joint efforts to curb Boko Haram in the region has thrown up an indictment of former President Goodluck Jonathan. 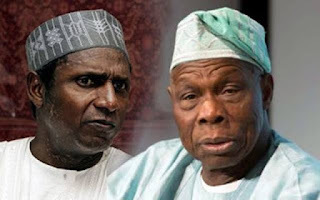 A very credible Presidency source told Daily Sun that in the anti-terror war, Jonathan did not do much in forming a synergy with leaders of Nigeria’s neighbouring countries. 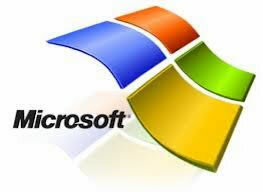 World Leading Internet Windows Giant (Microsoft) on Thursday sacked 34 (85 per cent) of the 40 employees in the Nigerian office of its phone division. The sacking came 24 hours after the company’s latest Windows 10 was made available in Nigeria and 189 other countries. Although, Windows 10 is now available as a free upgrade for Windows 7 and 8.1 operating systems or with new personal computers and tablets, industry experts said it would leave about 15 million Nigerian payments cards prone to hacking. 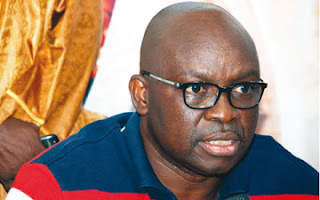 Ever ready and controversial Ekiti State Governor, Ayodele Fayose, has appealed to members of the Road Transport Employers Association of Nigeria to refrain fom an act that will allow them to be used by kidnappers to perpetrate evil. Speaking on Thursday during the swearing-in of the new State Executive of the union in Ado Ekiti, the governor, who said he was once a ‘Danfo driver’ appealed to the drivers to be orderly and not to be desperate. 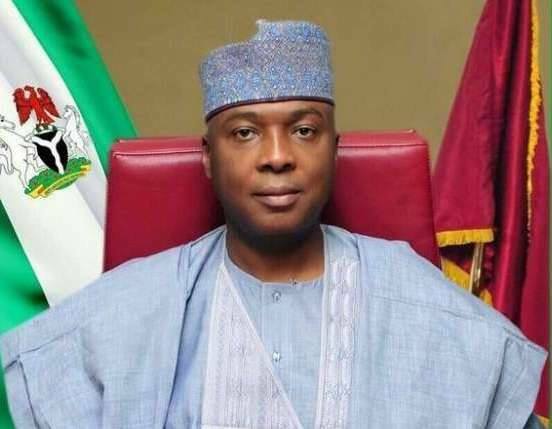 The wife of the senate president, Mrs. Toyin Saraki,re-appear at the EFCC office on Wednesday to continue her interrogation by anti-graft operatives. She arrived at the commission by 10 am and was released to go on administrative bail by 4.30pm. 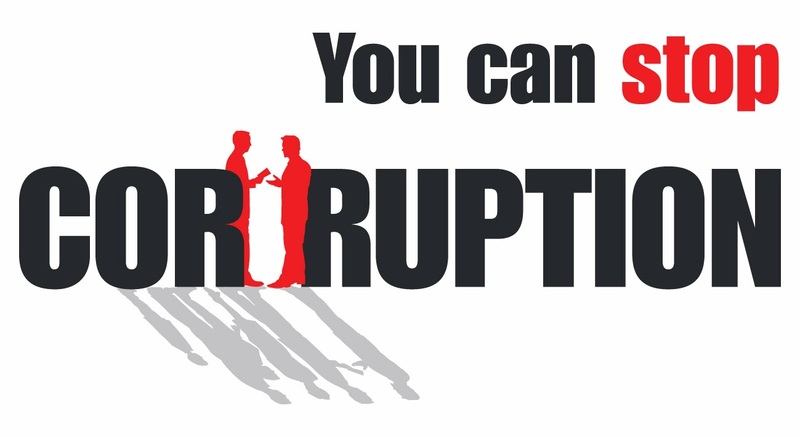 The fight against corruption may have taken a new dimension as Independent Corrupt Practices and other related offenses Commission (ICPC) operatives may have been specially assigned to chase after ‘super rich’ public officers who have multiple properties and other assets suspected to have been the rewards of graft. 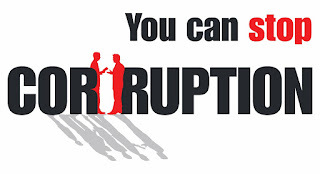 For now, Ashiwaju.org gathered that the searchlight of the anti-corruption agents was on civil servants that possess many properties in the Federal Capital Territory. Graduation is defined by the online Wikipedia as the action of receiving or conferring an academic degree or the ceremony that is SOMETIMES associated with, where students become graduates. In MOST countries, a graduation usually only occurs at UNIVERSITY LEVEL. 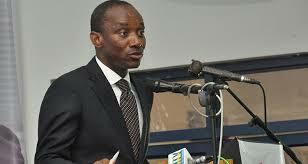 Following completion of an audit exercise of its licensees, the Nigerian Electricity Regulatory Commission (NERC), on Tuesday, requested 27 power generation companies to, within the next 30 days, provide justification on why their licences should not be cancelled. The notice for cancellation of licensees posted on the commission’s website on Tuesday was sequel to the discovery, through an audit exercise, that the affected firms could not meet the terms and conditions for their licences. Contained in the notice are 63 generation and distribution companies rated as category one, who are in operations and have no issue with the commission. 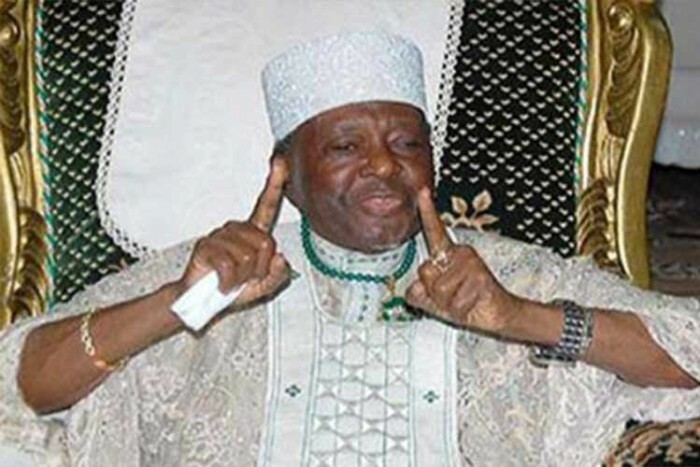 The paramount Traditional ruler of the Ife kingdom Ooni of Ife, Oba Okunade Sijuwade, (Iku Baba yeye) (Arole Oodua) was reportedly died on Tuesday night at a London Hospital where he was receiving treatment. 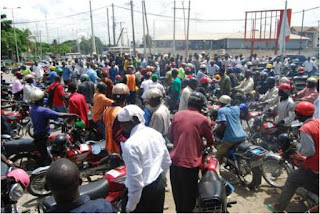 Anambra State Government said it will commence free registration and issuance of identity cards for all commercial and private motorcycles and vehicles as well as boats and canoes operating in the State. This was disclosed in a Public Service Announcement signed by the state commissioner for information, Culture and Tourism, Dr. (Mrs.)Uju Nwogu, promised to ensure it's full compliance as regards strict implementation of government directive to apprehend any defaulter. 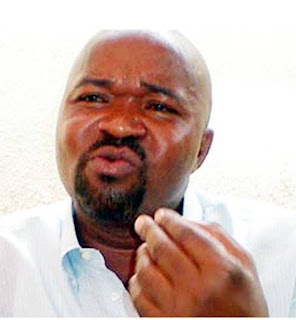 The Embattled former House of Representative minority Leader in the 7th assembly. Honourable Femi Gbajabiamila has emerged as the new House leader to dowse the lingering leadership tussle bedeviling the smooth operation of the house since inception of the 8th National Assembly session. leadership crisis in the House of Representatives is now appears to have been resolved as the member, representing Surulere Federal Constituency of Lagos, Mr. Femi Gbajabiamila, has emerged the Majority Leader of the House. Update: Whitney Houston Daughter, Bobbi Kristina's death Autopsy Sigh! 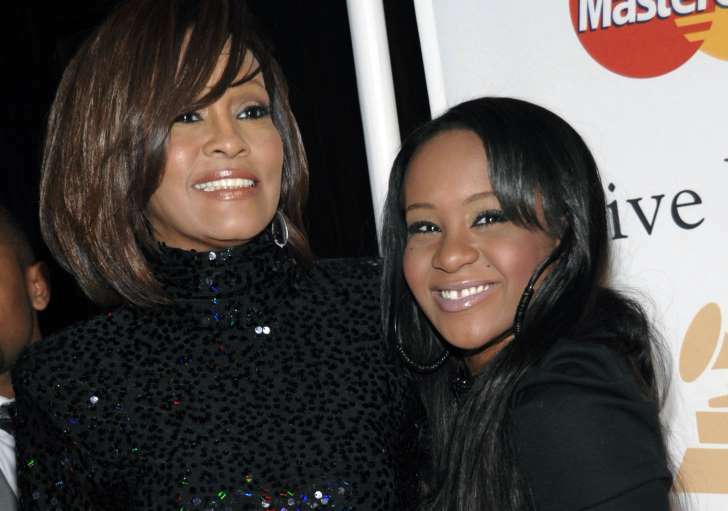 Medical examiners performing an autopsy on Bobbi Kristina Brown said Monday their initial findings turned up no obvious cause of death, while experts said the months that have passed since Brown was found face-down in a bathtub are working against authorities now tasked with solving how she died. The Chairman, Election petition tribunal sitting in Awka, Justice Nahiya Aganaba has dismissed the leave sought by counsel of the petitioner Chief Victor Umeh to further cross-examined the returning officer in Anambra Central senatorial zone election. Dr. Pius Okoye on grounds of ambiguity and alteration alleged to have occurred in the collation results of Oba ward 1 in Idemili North local government area Of Anambra state. Delivering his ruling, justice Aganaba regarded it as a fresh motion that could be directed to the returning officer of Idemili Local Government area or the Ward collation officer of the March 28h National Assembly election. 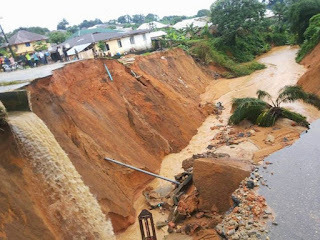 Tragedy struck the village of Otuke and Owerri Ajah Obosi in Idemili North Local Government Area of Anambra State where a family of three lost their lives due to heavy down pour that devastated buildings, roads and farm land in the two communities. The unfortunate incident occurred at the early hour of Thursday where a canal close to the residence of Mr. Chibuzor Anago and his family collapsed and carved the building fence into their living room. 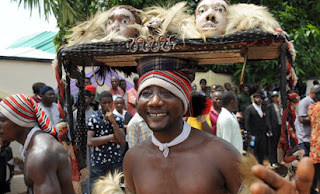 Ashiwaju.org gathered that the family were asleep before the unfortunate incident happened and were woken to their death on that unfortunate morning. 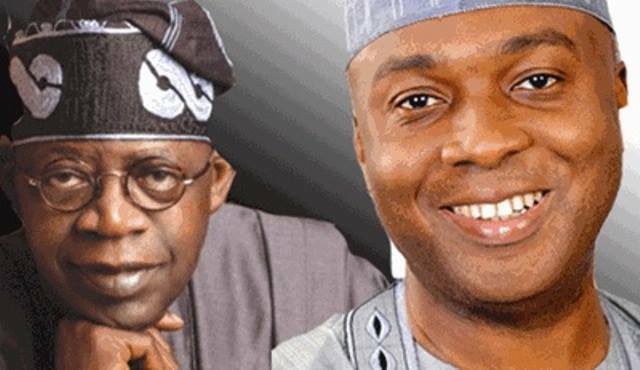 A national leader of the All Progressives Congress, Bola Tinubu, has denied accusations by a party member that he was using the Economic and Financial Crimes Commission to hound Toyin Saraki, wife of the Senate president, Bukola Saraki. In a statement by his media office Saturday, Tinubu said he is too busy working to get the APC back on track, not delving into EFCC matters. 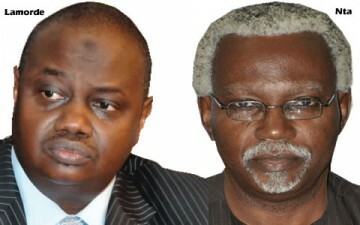 “Tinubu does not run or dictate to the EFCC,” said the statement signed by Sunday Dare, Tinubu’s aide. 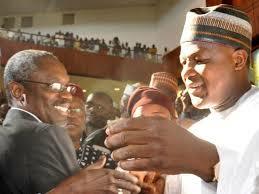 “And like countless others, Tinubu has also (been) investigated by the EFCC severely in the past. Tinubu has no hand in the travails of anyone because he is right now very busy working with others of like mind on how the APC political agenda can set sail as quickly as possible. National leadership of the Peoples Democratic Party, PDP yesterday took a swipe at President Muhammadu Buhari over statements attributed to him, saying that Nigerians who gave him 97% of their votes will be better treated than those who gave him 5%, saying that declaration was not only vindictive, divisive, but an attempt by the president to govern the country in a discriminatory manner. 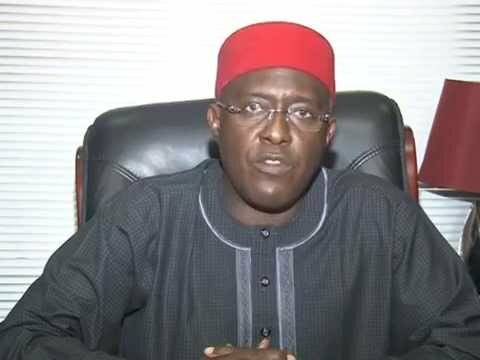 According to PDP, the President Buhari was setting a record as no president in the history of the country had ever made such a statement the PDP described as biased and partisan, adding that it has become imperative for the president to come and explain if this would form the basis of government appointments, thereby jettisoning total adherence to merit and the principle of Federal character as enshrined in the constitution. 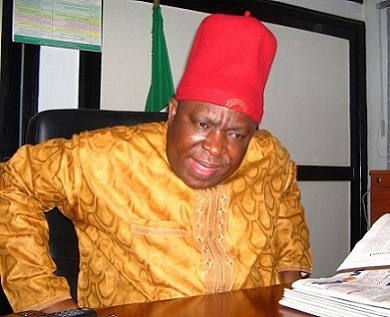 Chief Austine Ndigwe was one of the founding fathers of the All Progressives Grand Alliance (APGA) and former member of the party’s Board of Trustees (BoT). 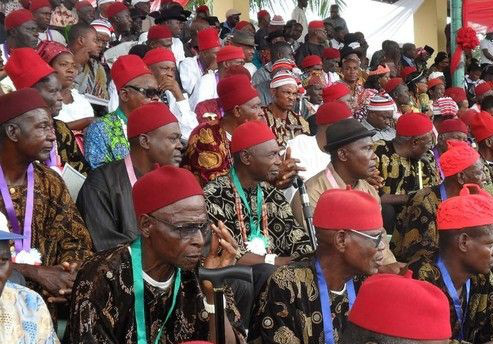 He was also the right hand man of former National Chairman of the party, Chief Victor Umeh, Owelle Rochas Okorocha of Imo state and former Governor Peter Obi of Anambra state. 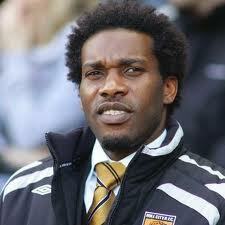 Today, things have fallen apart and the centre can no longer hold in the once united party. Ndigwe spoke with few reporters in Anambra on the way Umeh piloted the affairs of APGA, the problem between Umeh, Obi and Obiano, Ojukwu and his plans to report some dealings to the EFCC, among others. You have been in APGA and played major roles, can you tell us about the affairs of the party as it used to be and presently? 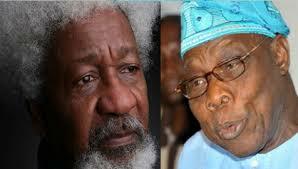 Former President Olusegun Obasanjo has said he maintains his view, as expressed in his three-volume autobiography, My Watch, that Nobel Laureate, Prof. Wole Soyinka, has better expertise in wine matters than in political analysis. 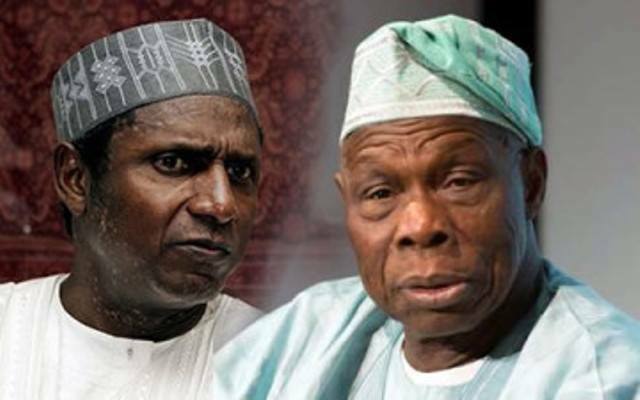 However, last year December, shortly after the book went public, Soyinka had, in a piece titled ‘Watch And Pray, Watch And Prey’, vehemently protested that description of him, calling Obasanjo an expert liar, who lies to boost his ego. Nigeria’s wartime leader, Gen Yakubu Gowon, says “Nigeria is better off with Igbos.” He spoke while delivering an oration at the burial service for Chief (Mrs.) Chinyere Asika, wife of the former Sole Administrator of East Central State; just as the governor of Anambra State, Chief Willie Obiano, described the deceased as a woman who exemplified the virtue of patience, charity and humility. The service took place at the All Saints Anglican Cathedral, Onitsha, Anambra State. 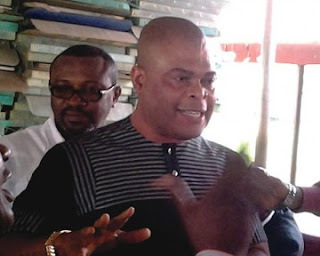 Confusion pervades the return of Crown Prince Ken Emeakayi unopposed in the State Congress of the Peoples Democratic Party (PDP) held at Emmaus House, Awka, Saturday as the Peoples Democratic Party (PDP) Anambra state Chairman against the stand of stakeholders. 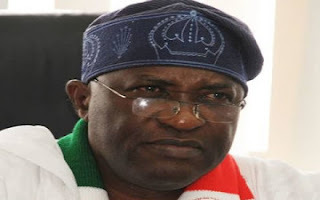 The victory of the immediate past Chairman of the Anambra State PDP, Emeakayi with a total of 958 votes, was greeted with uneasiness following the non-attendance to the State Congress by majority of the statutory delegates. Announcing the result at the State Congress of the party, held at the Emmaus House field, Awka, the State capital, the Returning Officer, Mr. Ike Abonyi stated that, the Emeakayi was returned unopposed as he was the sole candidate for the post, but he has to go through a voting process as provided in the party’s constitution..